Our route from east to west, with the total distance of 150 km. 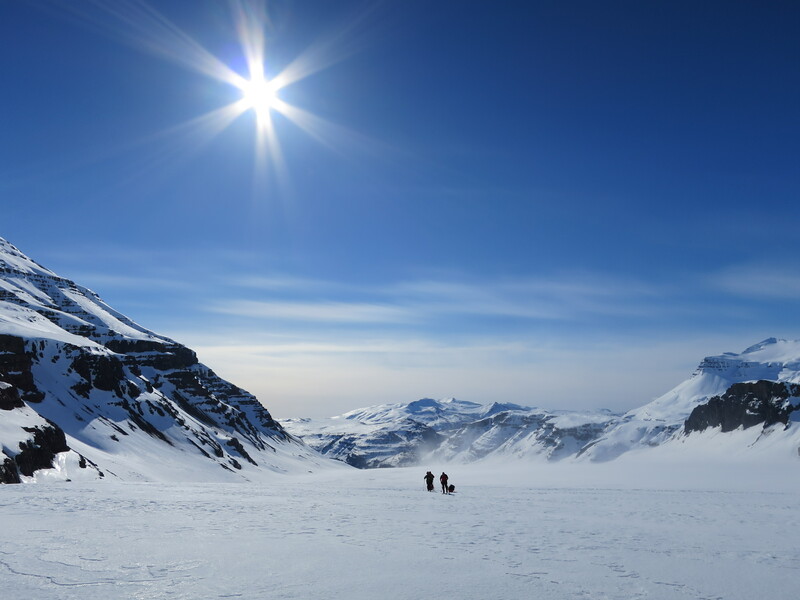 I participated in a ten-day expedition across Vatnajökull in May 2015. We flew from Helsinki to Reykjavik, where we stayed one night and bought the last things we needed for the trip. In the morning we drove off with our rental car with the direction southeast. 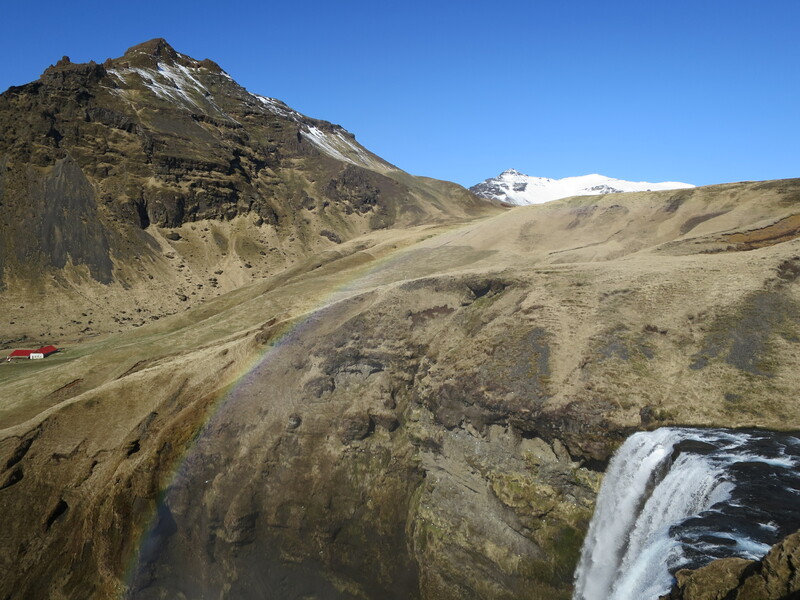 We stopped at a few places worth seeing, including the Skógafoss waterfall. In the afternoon, we arrived at our guesthouse in Hoffell. There we packed the final things and slept one night before we started towards the glacier. Skógafoss waterfall with a drop of 60 meters. The morning started after a night at the Hoffell Guesthouse. We packed our last things and stuffed two jeeps full of our equipment. Our Icelandic drivers drove us off roads for 2,5 h. We made only about 15 km. The problem was that there were no tracks or trail at all, so we had to do a kind of zigzagging between dried rivers to find the way. Because of the snow near the glacier’s edge, the drivers couldn’t drop us there, so we had to walk and carry our stuff in several rounds uphill to get to the glacier. When we got on higher ground the wind also boosted up to 15-25 m/s. We started skiing uphill 15.30, over 5 hours after we had started with the jeeps from Hoffell in the morning. We only skied couple of legs (1 leg = 50 min skiing + 10 min break) and then made our first camp. 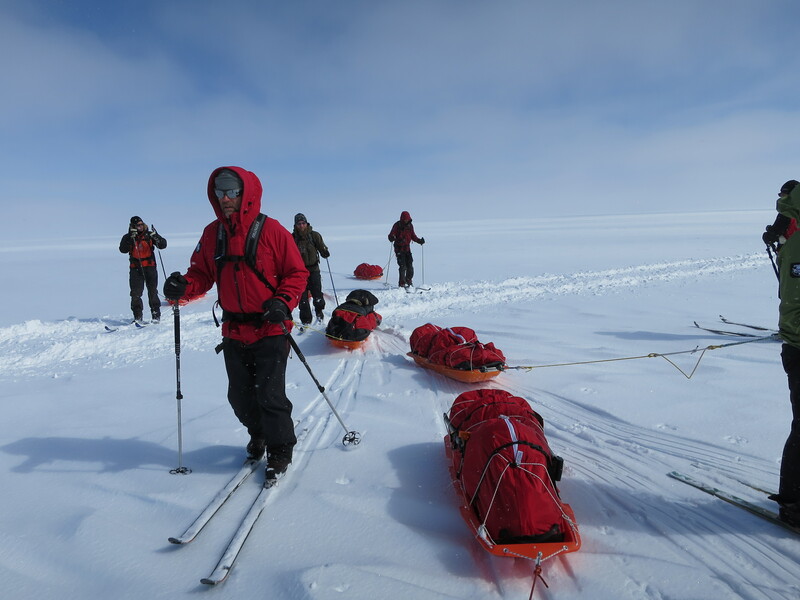 We hadn’t yet reached the ice cap, so some uphill skiing was left to the next day. 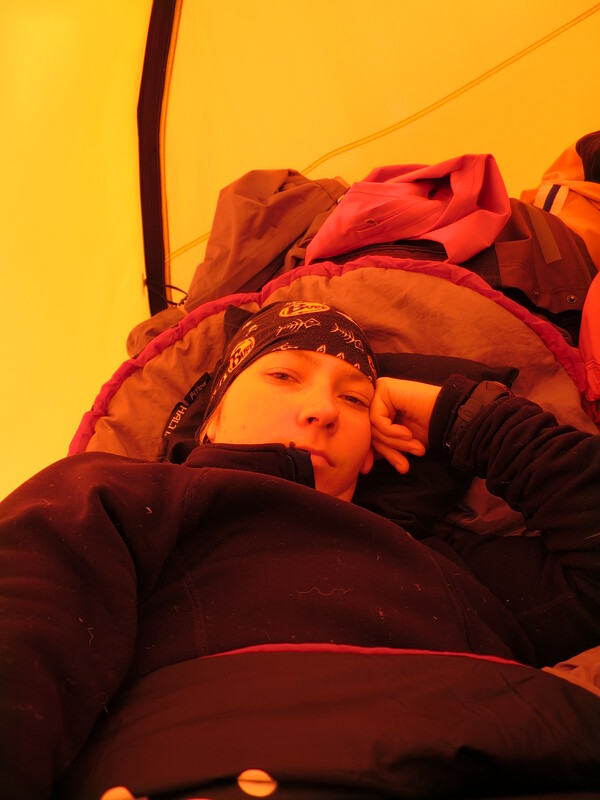 The wind was shaking the tent the hole night, but after the full day program, it was not difficult to fall asleep. From this point we carried our stuff. We had reached quite an altitude already. We continued skiing uphill. And that was actually the program for the whole day. When we reached the highest point for the day (1500 m) the weather had changed, and the wind blew the loose snow so the visibility was poor. At worst you could only see couple of meters in front of you. 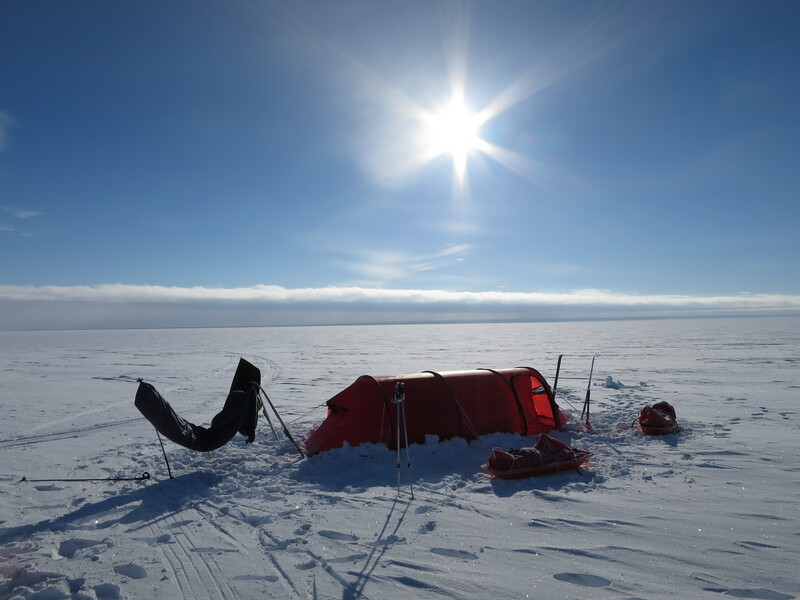 We descended to the ice cap (1200 m) and made camp. We made snow walls in front of the tents, so the strong wind wouldn’t break our small houses. It was really windy and the tents flies were flapping through the whole night. The visibility was poor and the wind once again strong, but we decided to give it a try. We didn’t start according to our timetable, because it took extra time to take down the tents in the strong wind. After 4 legs, in visibility of 1 meter, we gave up! The rest of the day we spent in our tents. The wind was still strong or even stronger than the day before. We decided to postpone our start with two hours. The wind wasn’t giving in and the visibility was really, really poor, so after the two hour waiting we decided to wait two more hours. At 11.30 we made the decision to stay in camp for the day. The program for the day included sleeping, eating, reading and snow melting. The weather hadn’t changed at all to the evening. We decided to get on our skis, even if the weather hadn’t changed so much. We had to dig one tent from under the snow before we started. They had literally got snowed in. 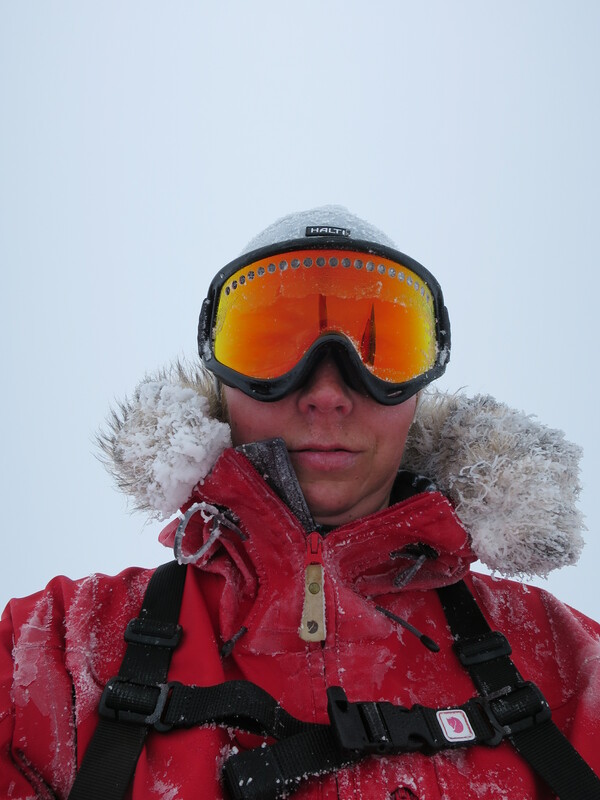 The wind was little gentler with us today, but it was hard to ski because of the white out. I think our ski trail we left behind us in the snow reminded a curvy slalom track. We made a long day with 8 legs, and we were quite satisfied with that result in this weather. 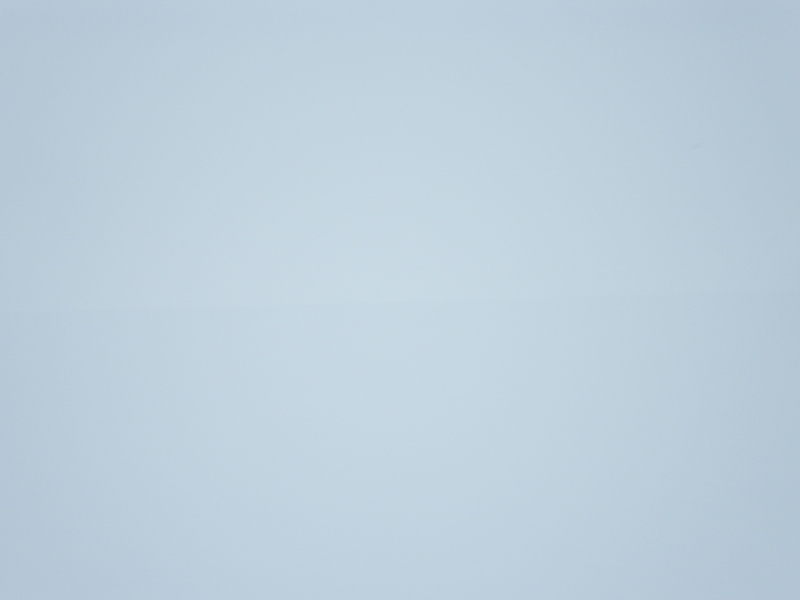 This is what you see in front of you in a total whiteout. We started as planned 9.00, but in total white out. Our ski trail in the snow was again curvy. The wind was nearly total gone, so that was a big change to the last days. Mid day we saw a little bit of horizon, and after a moment also the sun appeared behind the clouds! After a long 9-leg day, we made camp. For the first time we were able to put our sleeping bags to ventilate outside the tents in the fresh air. The night was really cold, and the temperature dropped to -20C. The day couldn’t have started better: The sun was shining and there were no wind. It was really warm, so we started skiing without our shell jackets on. After the lunch break we crossed the track of a super jeep. That was something worth seeing for us, after seeing no traces in the snow for the last six days. The wind increased in the afternoon and some clouds had gathered on top of us, so we had to put our shell jackets on once again. We made again a long 9-leg day. Crossing the super jeep’s path. 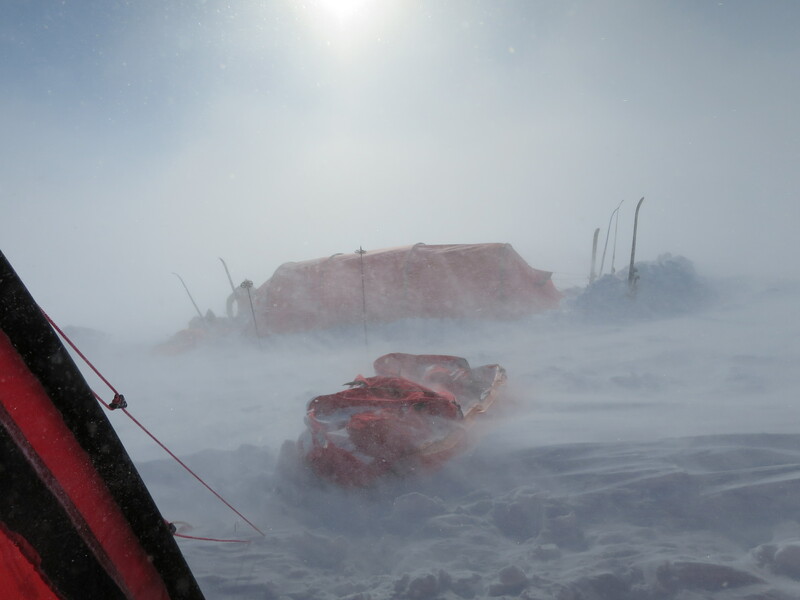 The wind had again increased to the normal strong wind, so we left our camp in white out. Our goal for today was to reach a hut at the ridge of the Grímsvötn volcano. For that reason it was again uphill skiing, but it was really worth it! The hut is heated with the help of the volcano’s geothermal activity. Near the hut there is also a geothermal sauna. Not a kind of sauna we Finns are used to, but in a middle of a glacier on a top of a volcano it was just the best sauna ever! In the evening we went for a walk on the volcano’s caldera. The geothermal activity keeps some areas of the caldera ice and snow free. We slept indoors the night, and it was strangely quiet, after the windy and loud nights in the tents. We spent the morning indoors, even though the sun was shining outside. After lunch we decided to move on. We prepared our faces with a thick layer of sunscreen, but with our luck the sun disappeared in the afternoon. So, there it was again, the windy weather, but this time with a twist of supercooling rain. Actually it was not rain, but really, really humid and cold wind. Cool! By the end of the day the uphill or leveled terrain changed to downhill, but not at all steep – you could hardly notice the difference with the skins on. Normal morning routines. In the horizon we could spot the mountains at the edge of the glacier, and that was the goal for the day. The terrain started with not much steepness at all and increased by the day. At the end you didn’t have to do much with your poles at all, you could only enjoy the ride! The sun also appeared and the weather was for once really, really nice! We did spot some odd ash piles, but their existence remains unknown. After 10-11 legs we reached the edge of the glacier, were we congratulated each other for the crossing. We decided to keep on skiing to the hut in Jökulheimar, and we reached that goal just before 19.00. Fortunately there was enough snow to ski the whole way to the hut. Our faces looked a bit torn out from the sun, and everyone was quite tired. We spend the night indoors in the warm and cozy hut. The mountains in the horizon. The weather was once on our side. 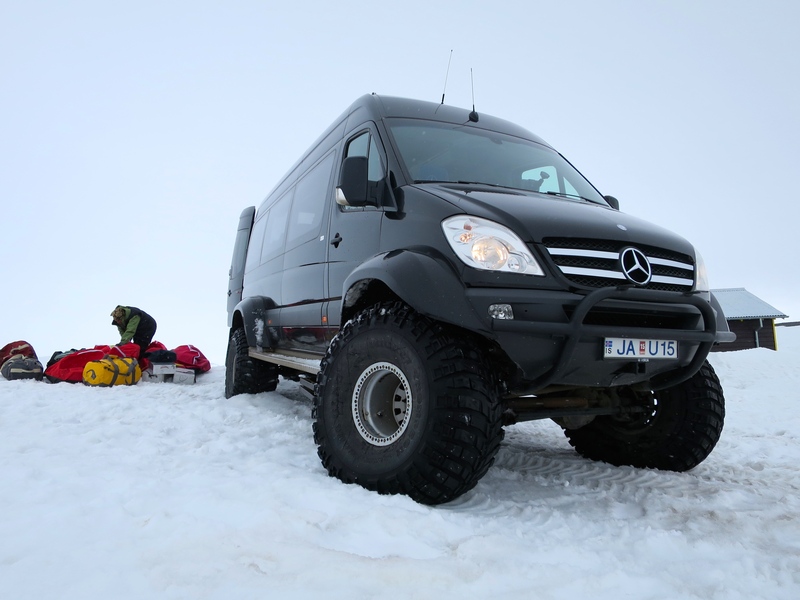 The next day a super jeep/van picked us up at the hut, and drove us to Reykjavik. It was quite an interesting ride!